Hello and welcome to The Farmhouse Friday Link Party #50! I’m sorry I didn’t get to share the linkups from last week’s party on social media as much as I usually do – it was a super busy and crazy week here! I feel so bad because the linkups you guys shared were so awesome! But I’m going to try and make up for it by sharing a few more features than I normally do this week. In other news, we got our Ektorp sectional from IKEA set up and I L-O-V-E it! The color is a lot lighter than our old sectional so it really brightens up our family room! When I get a chance I’ll snap a few pics of it and share it here! Do you plant a veggie garden every year? If so, what kind of veggies do you like to plant? How To Build a Centerpiece by Lora B. By linking up, you will get a chance to be featured here at next week’s party! You will also get a chance for your post to be shared on my Facebook group DIY Farmhouse Style, which at this writing has over 290 thousand members! 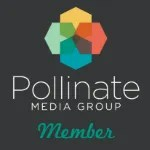 Unfortunately now this is the only way to share your blog posts and links in the group. I’ve had too many problems in the group with people sharing inappropriate links disguised as links to blog posts, so I can no longer allow anyone to post blog links directly. 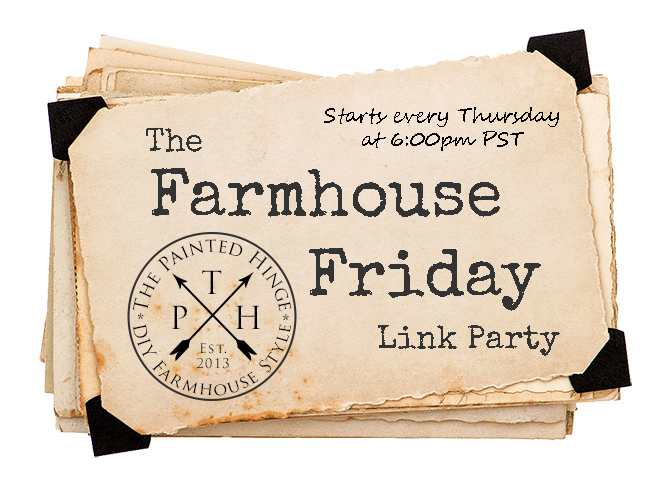 Thanks so much for stopping by at The Farmhouse Friday Link Party #50! I hope you have a wonderful weekend and week ahead and I’ll see you back here next Friday! Hi Diana! You’re very welcome – thanks for joining us! We had a very nice Easter; I hope you did too! Love your features, Michelle! I hope the links I added fit within the party rules, if not, feel free to remove them. Thanks for hosting and wishing you and yours a Happy Easter! Hi Marie! Yes you shares are fine (and beautiful!) 🙂 I hope you had a nice Easter! Thank you Michelle for hosting your 50th The Farmhouse Friday Link Party. Happy Easter. Thanks so much Joy! I had a very nice Easter – I hope you did too! Have a great week!